Karin Hinzer received the BSc, MSc, and PhD degrees in physics from the University of Ottawa, Ottawa, Ontario, Canada, in 1996, 1998, and 2002, respectively. She is a Professor at the School of Electrical Engineering and Computer Science with a cross-appointment in the department of Physics at the University of Ottawa. She has made pioneering contributions to the experimental physics of quantum dots marked by two landmark papers in Science. She gained extensive experience in the design and fabrication of group III-V semiconductor devices while at the National Research Council Canada, Nortel Networks and then Bookham (now Oclaro). Cost reduction strategies and liaison with remote fabrication facilities strongly feature in her industry experience. 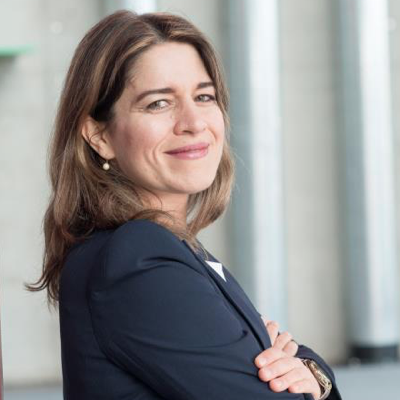 Professor Hinzer joined the University of Ottawa in 2007 where she founded the SUNLAB, the premier Canadian modelling and characterization laboratory for next generation multi-junction solar devices and concentrator systems. With its designation as a University of Ottawa CoreFacility and its close integration with the Centre for Research in Photonics, the SUNLAB leverages its resources for collaborations with other research groups from within the university and the rest of the world, as well as with industrial partners. Professor Hinzer’s research involves developing new ways to harness the sun’s energy. From 2007 to 2017, she was the Tier II Canada Research Chair in Photonic Nanostructures and Integrated Devices. In 2010, she was the recipient of the Inaugural Canadian Energy Award with industry partner Morgan Solar for the development of more efficient solar panels. In 2015, she received the Ontario Ministry of Research and Innovation Early Researcher Award for her contributions to the fields of photonic devices and photovoltaic systems and in 2016, she was the recipient of the University of Ottawa Young Researcher Award. She is a member of the College of New Scholars, Artists and Scientists of the Royal Society of Canada and an IEEE senior member. Professor Hinzer is the principal investigator of the Natural Sciences and Engineering Research Council of Canada Collaborative Research and Training Experience Program titled “Training in Optoelectronics for Power: from Science and Engineering to Technology” (NSERC CREATE TOP-SET), a multi-disciplinary training program involving three universities and aiming to train over 100 students in six years. Professor Hinzer is an editor of the IEEE Journal of Photovoltaics. She has published over 150 refereed papers, trained over 110 highly-qualified personnel and her laboratory has spun-off three Canadian companies in the energy sector. Her research interests include new materials, high efficiency light sources and light detectors, solar cells, solar modules, new electrical grid architectures and voltage converters.